"You can always count on a murderer for a fancy prose style, as Nabokov’s Humbert Humbert admitted, and in his spectacular novella “Coup de Foudre,” Ken Kalfus has created an equally articulate monster." 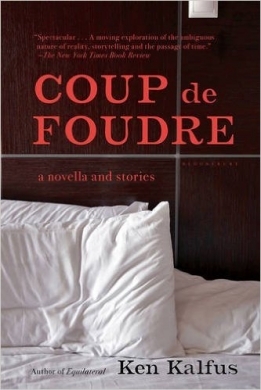 Ken Kalfus's new collection, Coup de Foudre: A Novella and Stories, has just been published in paperback. He's the author of two previous collections of stories, Thirst and Pu-239 and Other Russian Fantasies. 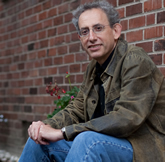 He's also published three novels, The Commissariat of Enlightenment, Equilateral and A Disorder Peculiar to the Country, which was a finalist for the 2006 National Book Award. His books have been translated into more than ten foreign languages. I review Deborah Eisenberg's latest collection of short stories, "Your Duck is My Duck" in the Financial Times. In Who Will Speak for America?, 44 writers attempt to make sense of and respond to our national crisis. My piece, "Three Days," addresses the wild acceleration of the news cycle, which has sown confusion, indifference and forgetfulness about the events of the immediate past. The book is published by Temple University Press, for the benefit of the Southern Poverty Law Center. A preposterous, misguided novel. My review of Darwin's Ghosts in the New York Times.